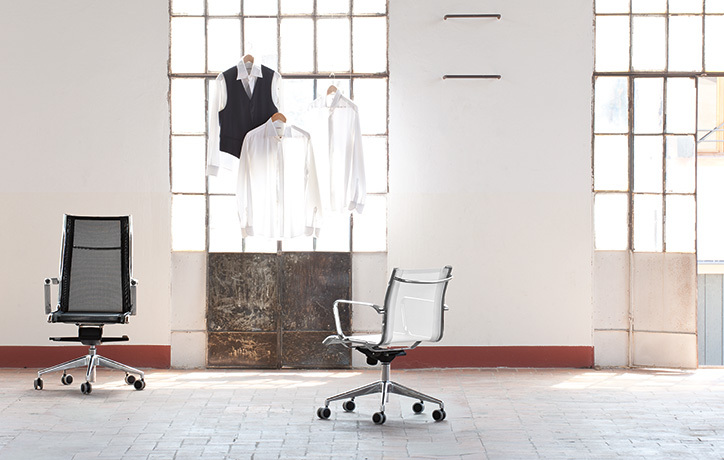 The Sky Rete chair is available in three different colours to match your office enviroment. Sky Rte is produced by heat sealed mesh, accompanied by a chrome frame and chrome aluminum armrests. Sky Rete also has a scillante mechanism which can be locked in five different positions.